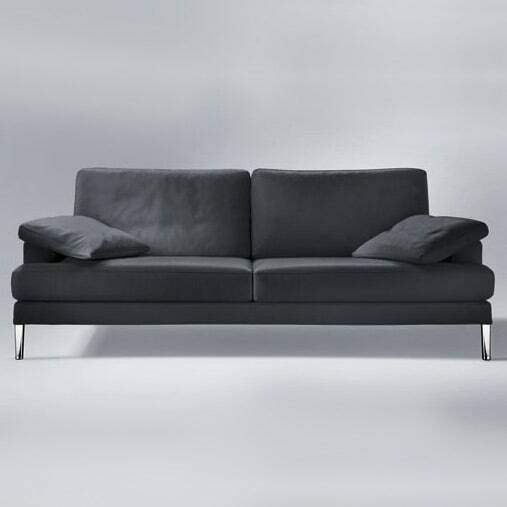 The Clarus sofa range is available in various widths (208cm and 238cm) with and without a foldable back as well as in numerous leather versions. Please contact us, we will be happy to advise you! Clear, simple and no-frills. No decorative elements detract from the purity of design of this armchair. A comfortable foot-rest is concealed beneath this flat and elegant item of sitting furniture. A bar integrated in the backrest converts the armrest pads to comfortable head and shoulder rests. Clarus is optionally available in two seat depths and heights. Whether as a sofa, recamière, add-on module or as an individual armchair, Clarus opens up a whole range of attractive planning options. Do you have a question about "Clarus"? How can we contact you?